After Bitcoin struggled to maintain positive price momentum, a technical gauge is suggesting more pain in the coming weeks. The original cryptocurrency briefly breached US$4,000 last week for the first time during weekday trading in more than two months, before falling back. 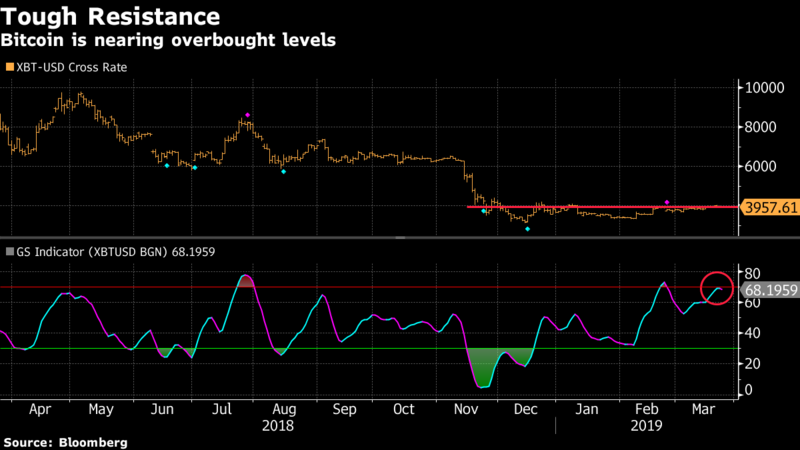 Bitcoin is nearing overbought levels, according to the GTI Global Strength Indicator, a technical tool that accounts for intraday volatility. It could see further downside should it decisively break into that territory, the measure suggests. Bitcoin followed a similar pattern in February when it breached into the overbought zone and lost about 3 per cent during the subsequent two weeks. The token has waffled between gains and losses this year, mostly trading above US$3,800. 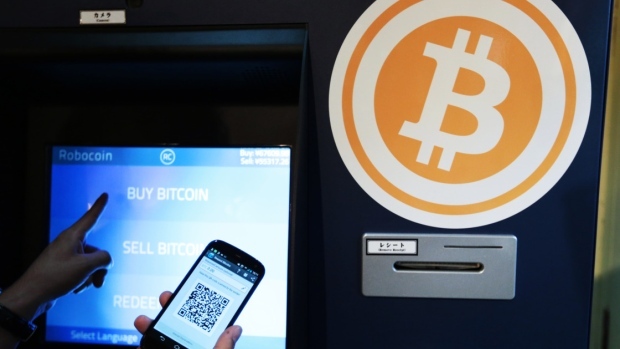 Bitcoin fell about 0.3 per cent to around US$3,967 as of 11:25 a.m in New York.